EasyHaul provides you the most accurate and fairest shipping quote possible. Whenever you use our shipping calculator you can be sure that there are no hidden fees, and that what you see is what you’ll pay. But how do we come to our shipping quotes? Read on to find out. Larger vehicles cost more to ship. Many SUVs, pickup trucks, minivans and cargo vans come with potential oversize/overweight fees. These considerations are all accounted for in our guaranteed online quoting tool. Cars up to full-size sedans are not subject to oversize/overweight shipping fees. Most shipping companies will give you a pickup window of several days from placing an order. You can request expedited shipping, but like all rush orders, it will cost more. You can also request low-cost standby shipping, knowing it could take longer. If a car runs, then most of the time it’s just driven onto the transport truck and secured—not so with vehicles that don’t run. Non-running vehicles are a complication many shippers aren’t accustomed to. Some don’t even want to ship these vehicles. This is EasyHaul’s specialty. We’ve shipping thousands of cars that don’t run or are salvage. Shipping distance is the main factor impacting the quote. In cases where the delivery location is remote, or at the end of a very rough road, the shipment may need to be rerouted to the nearest town. If the nearest town isn’t used, then it could cost more for a doorstep delivery. 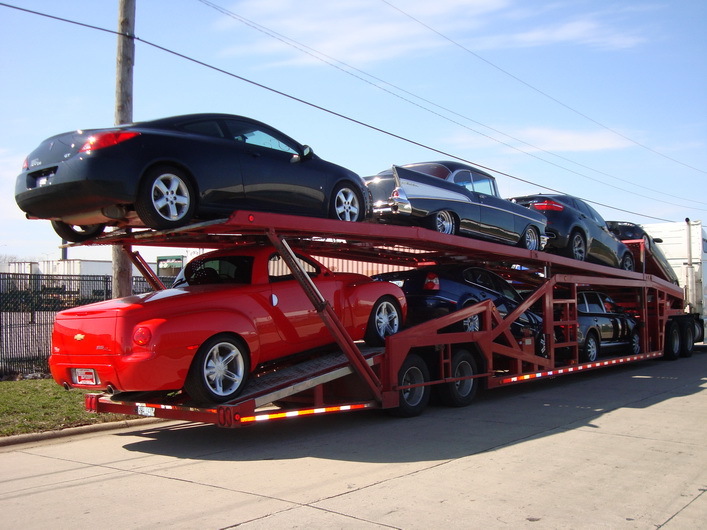 An open car carrier is the most common and you see them driving on the highways all the time. When someone needs to ship a high-end vehicle they may request enclosed transportation for increased protection. This is no problem, but it will cost a bit more. It will also likely take more time to find an enclosed truck, but the vehicle will be more protected. Get a Free Quote, Now! To get an estimate of our shipping service, you can use our rate calculator. If you need to transport something unusual or oversized and need more information about our international vehicle shipping services, call us at +1 (360) 597-9320 (Monday thru Friday, 7am to 4pm PDT).